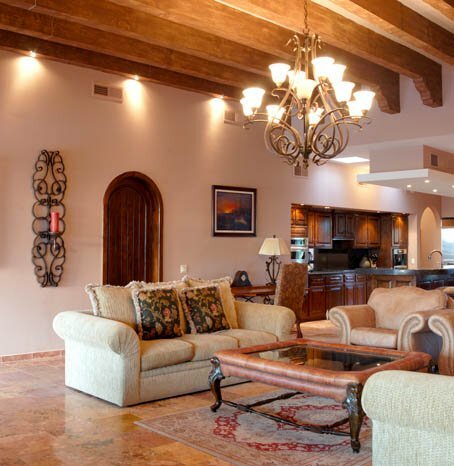 Villa El Deseo is a gorgeous home located in the lovely Laguna Del Mar community. 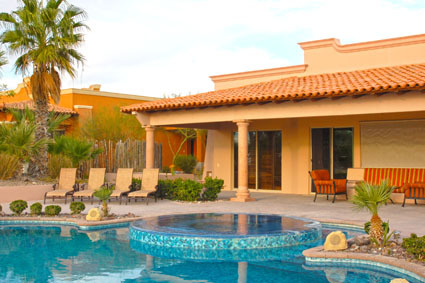 This choice from Rocky Point vacation homes, offers four bedrooms, five bathrooms within a spacious 3,250 square feet, offering accommodations for up to 10 guests — perfect for larger groups! 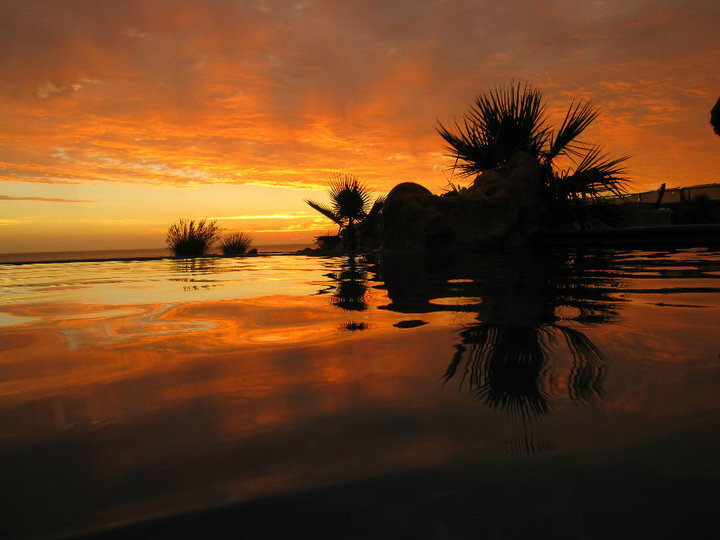 Laguna Del Mar is a resort of artistic sophistication featuring exquisite beauty and romance. The resort is a very popular beach destination and offers the Jack Nicklaus Signature Golf Course. You can also take advantage of the beautiful beaches and relaxing lagoons. As with all villas located in Laguna Del Mar, Villa El Deseo offers a private swimming pool and Jacuzzi where you can relax or take an afternoon lounging by the private pool. You can even do some sunbathing on your own private beach area. This home offers three bedrooms featuring king size beds, and one with two twin beds. You’ll also find a guest bed in the den for additional sleeping space. The living room is furnished with gorgeous furnishings, making it a lovely place to relax and enjoy some conversation. The gourmet kitchen offers high-end stainless steel appliances and all the equipment you will need to create your favorite meals. 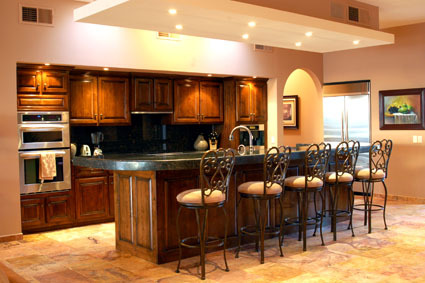 Enjoy the in-kitchen bar seating for a casual meal. 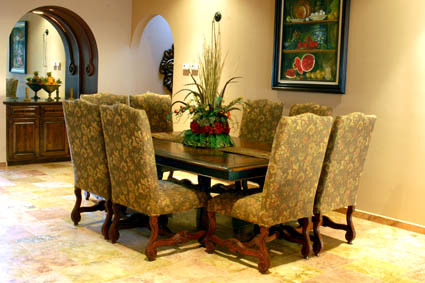 The more formal dining room offers a lovely dining table that can seat up to eight. There are also several outdoor areas offering great furnishings, where you can enjoy sitting poolside or watching the stunning ocean views. There’s also a wonderfully appointed Palapa bar, complete with a barbeque area where you can enjoy some great outdoor meals. Other amenities of this home include satellite TV with DVD, air conditioning, wireless Internet access, and a spacious garage. 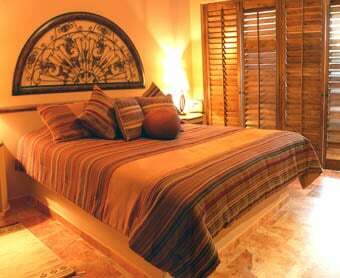 You will also enjoy daily (except Sundays) maid service to make your stay truly luxurious — a great option with this choice of vacation homes in Rocky Point. 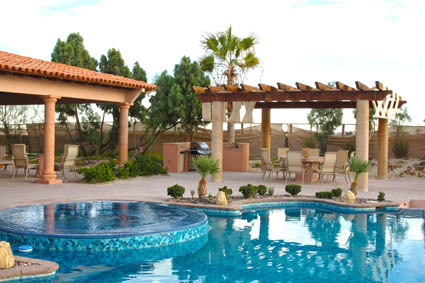 This private resort community offers so much to do. Activities offered by the resort include snorkeling, kayaking, fishing and so much more. Relax on your private beach and there’s even a kids’ play pool for the younger set. 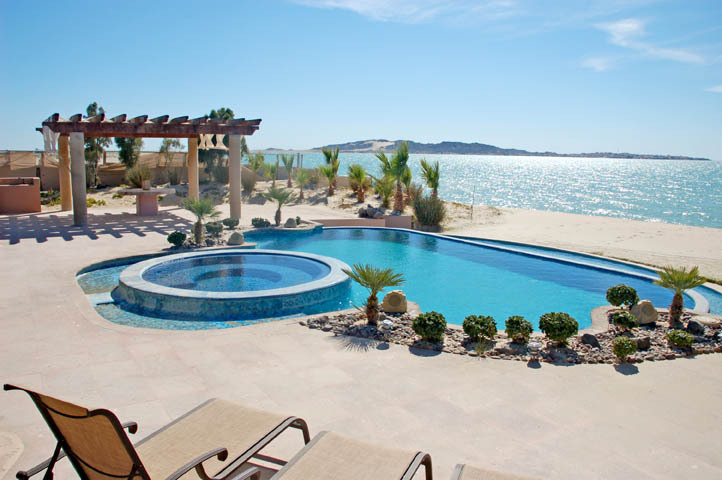 Villa El Deseo offers all the wonderful resort amenities you need to truly enjoy your stay in Rocky Point. 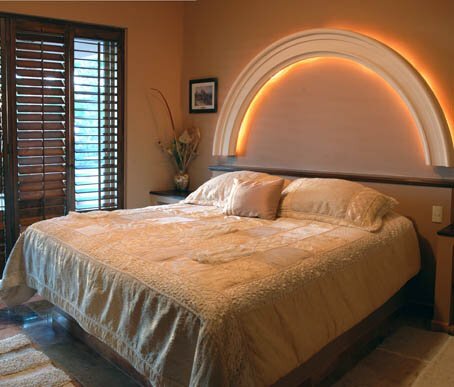 You will be staying in the lap of luxury, with all the comforts of home. 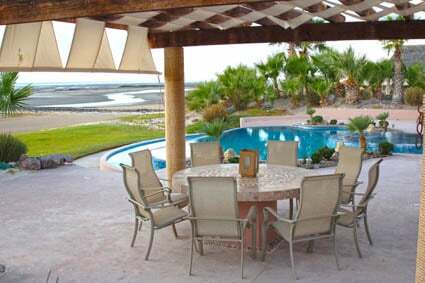 This choice of Rocky Point vacation homes will surely be the high point of your entire Rocky Point vacation!